“Piercing the corporate veil” is a term that refers to a legal action brought against a company that eventually results in the members assuming liability for a wrongdoing. The “veil” is the business entity, and it serves to protect owners’, shareholders’, and members’ assets and bank accounts from being sized for repayment of a settlement. Though most business owners operate under a business entity to protect their assets and investments, there are a few things that they can do that can cause that veil to drop. At the office of Edward J. Jennings, P.A., our Fort Lauderdale business litigation lawyers provide sound advice and professional representation at all stages of business development and ownership, including helping business owners identify their risks and implement processes and procedures that can reduce the risk of having the corporate veil penetrated. The most surefire way to face personal liability for an act committed by the “corporation” is to commit fraud or perform a wrongdoing against a third party. When a person files a complaint against the company and its owners, it is usually because of the willful and morally wrong acts on behalf of the owners. For instance, if company XYZ racked up outstanding credit card debt, closed its doors, and then started company ABC, which was eerily similar in nature and offerings as XYZ, creditors might seek restitution from the owners themselves, citing fraud as its reason for doing so. An example of how this might play out can be found in Broward Marine, Inc. v. S/V Zeus, in which the corporation’s dominant shareholder was found directly responsible for the default mortgage payments on a yacht. It was discovered that the dominant shareholder closed his yacht company and then moved all of the business’s assets to other entities controlled the by company’s sole shareholder. The court’s found that the shareholder did so to defraud the plaintiff and held him accountable for the judgement on the default yacht. This happens when the owner or owners of a company form a legal entity for the business but continue to use their own personal checking accounts or use the business’s assets and funds as if they were personal assets. This type of intertwinement becomes an issue when there are multiple shareholders and owners involved, or when a person forms a company so as to avoid liability for personal debt. If it is believed that the sole purpose of a business is to defraud creditors, the owner or owners could be held liable for fraud. To prevent this, owners and shareholders of corporations, LLCs, or any other business entity should avoid commingling business and personal funds and assets. Though following all corporate formalities is not a requirement for business owners in Florida, failure to do so could leave owners, shareholders, and board members open to liability. 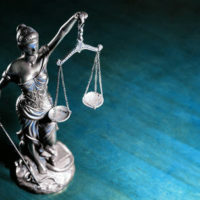 In cases where formalities were not strictly adhered to, the courts have ruled that the legal liability protection of members was waived as a result of their “decision to waive formalities,” making the personal assets of owners and shareholders available to claimants. At the office of Edward J. Jennings, P.A., our attorneys can help you implement the processes and procedures necessary to avoid legal liability—both in a personal and a professional sense. To retain the help of a knowledgeable business litigation lawyer, call our office today or schedule a consultation online.